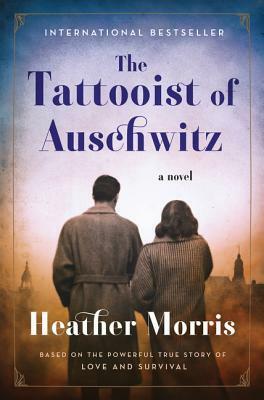 The Tattooist of Auschwitz (2018) is a compelling work of historical fiction by New Zealand native and Australian resident, screenwriter and author Heather Morris. I read this book in one day and highly recommend it for your reading list. Click on the links to learn more about the author and this debut novel. The Tattooist of Auschwitz sounds like a great read for book works, Roy. When I was growing up, we had a Jewish couple who lived next door for awhile. The lady had numbers tattooed on her arm. I learned a lot about the halocaust from the pair. Thanks for the recommendation, Roy. I may have some difficulty reading this book. Good morning Roy. Your library card must reqire regular replacement. Enjoy your day! Roy, sounds like another entertaining book, and glad you enjoyed it. What an interesting book, with a very dark subject. On the other hand, what a beautiful flower!